This live recording is from an intense July evening during the 2015 Copenhagen Jazz Festival where the Tomas Franck Quartet totally brought the house down. Backing Tomas Franck up is a trio led by the exceptional pianist, Carsten Dahl, one of his all-time most important musical collaborators. The attentive rhythm section is rounded out with Daniel Franck on bass and the new American stellar drummer, Rodney Green. 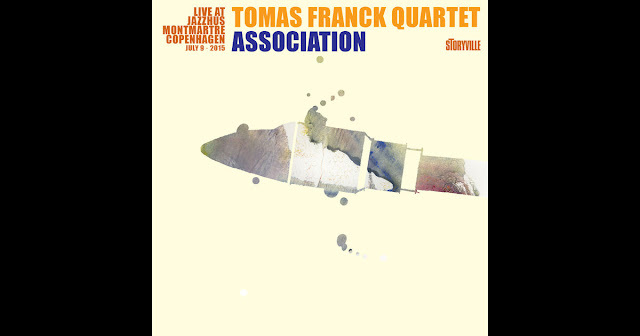 One of the greatest contemporary jazz musicians, Tomas Franck has a musical strength common to few. His career has brought him closer to a finer sense for the very substance of music. While this is not a process that rewards instantly, probably only a handful of other tenor saxophonists in the world today play with his degree of integrity. In the liner notes, Montmartre music director Christian Brorsen writes: “The music speaks for itself, and one can sense how everything falls into place. Audacious leaps into the unknown are taken, but each time, like a cat, the quartet lands firmly on its musical feet. And the audience reacts accordingly. Whether they were sitting on the edge of their seats or hanging at the bar, momentarily forgetting their drinks, everyone was blown away by this special evening. New live recording from the legendary Jazzhus Montmartre in the heart of Copenhagen. This time with Kenny Washington on vocals and a trio of Jacob Christoffersen on piano, Jesper Bodilsen on bass and Zoltan Csorsz on drums. 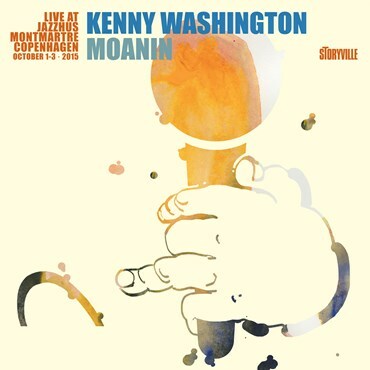 The recordings on this release are chosen from three terrific evenings at Montmartre in October 2015, during Kenny’s second visit to Copenhagen. “Those of us who attended the concerts witnessed the great affection that developed between Kenny and the audience; the public simply wouldn’t let him leave the stage,” writes Christian Brorsen, music director at Jazzhus Montmartre. A smiling Jacob Christoffersen distributed warmth from behind the piano, and bassist Jesper Bodilsen and Zoltan Csorsz easily join the magnificent musical union. Kenny Washington is an authentic virtuoso who exposes new facets of himself every time he performs. The quintet extracts new warmth from classics such as “Do You Know What It Means to Miss Orleans” an excel on the title track “Moanin’”. Kenny’s talent puts him among the world’s best jazz vocalists—at the very top of the list! 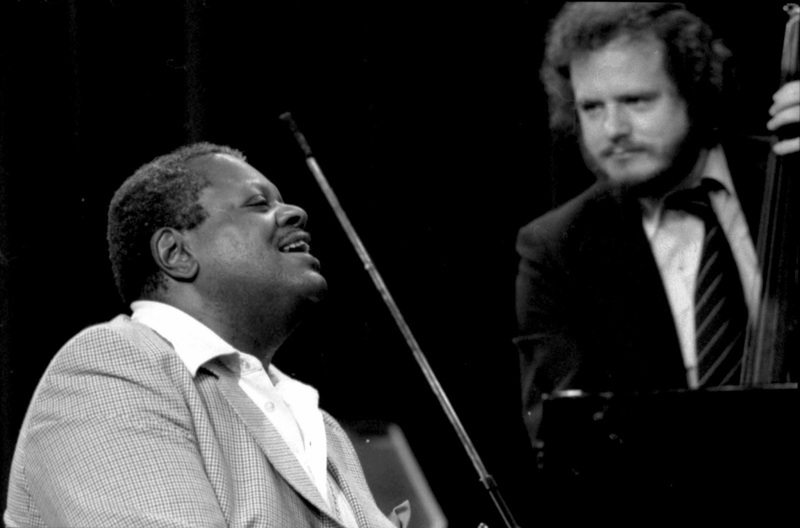 Exclusive to Storyville Records, a previously unreleased live concert with jazz stars Niels-Henning Ørsted Pedersen (bass) and Mulgrew Miller (piano) is now finally available for everyone to enjoy. For a short but magnificent time, the two played together, and our revival of their visit to the North Sea Jazz Festival in Holland in 2000 testifies to their musical brightness and beauty. In 1999-2000, Niels-Henning Ørsted Pedersen was given the chance to make a studio recording on the occasion of Duke Ellington’s 100th birthday. 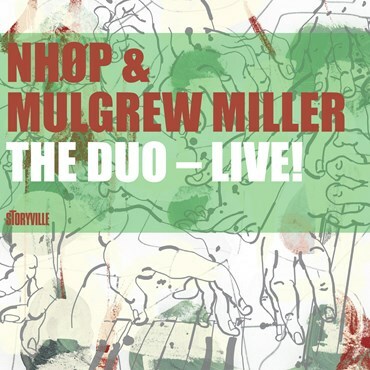 For this duo session, NHØP chose Mulgrew Miller, whom he had heard, but never played with. Both were at the height of their careers, giants in their own right, and with totally different backgrounds. NHØP was born into the Danish folk high-school milieu that promoted freedom of thought and had a prolific song tradition. Growing up as the child of plantation workers in Greenwood, Mississippi, Mulgrew had his roots in gospel music and the racially divided USA of the 1960s. A Duke Ellington connoisseur, he had played with the Ellington Orchestra under direction of Mercer Ellington. Still, from the moment NHØP and Mulgrew met and played together, the two had an affinity as human beings and musicians. They chose a repertoire based on the historic 1941 Duke Ellington—Jimmy Blanton duets. Mik Neumann, NHØP’s long-time sound engineer, says about their collaboration: “What was special was how their music assimilated the divergent influences of their younger days. Remarkable, too, was the degree of profundity in their interplay – a talent that demands years of experience for a musician to deliver, and possibly also for an audience to understand. At the same time, thanks to their ability to swing, and their inbred musicality, the music was also immediately accessible.” In many ways, piano-and-bass was the ultimate constellation for Niels-Henning and Mulgrew. Here, NHØP had the necessary room to display the same creative brilliance that revolutionized modern contrabass playing. Recorded live, all the tracks on this never before released concert remain in the same order as the two masters chose that evening at the North Sea Jazz Festival. They are at the peak of their abilities, combining new version of the Ellington songs they had previously recorded together with jazz standards. Niels-Henning and Mulgrew have sadly passed away, but are remembered as intelligent and insightful musicians on and off stage, but also as unconditionally generous mentors and influences for generations of musicians after themselves.